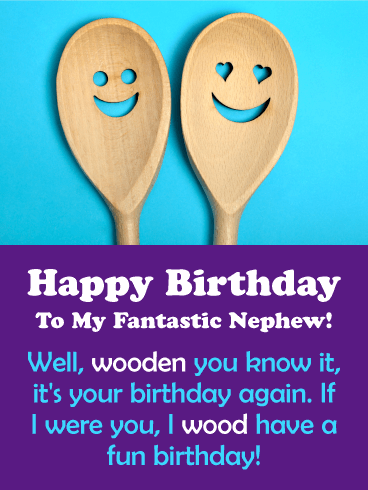 Nothing beats a birthday out in the boat. 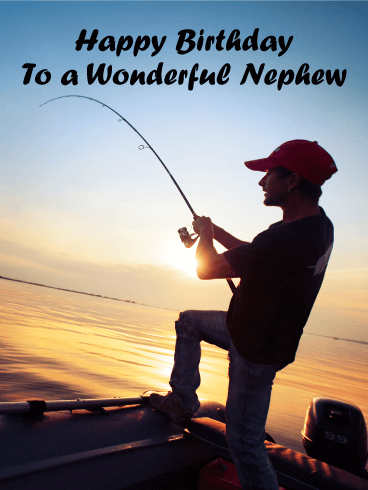 Got a nephew who loves to fish and enjoys boating? 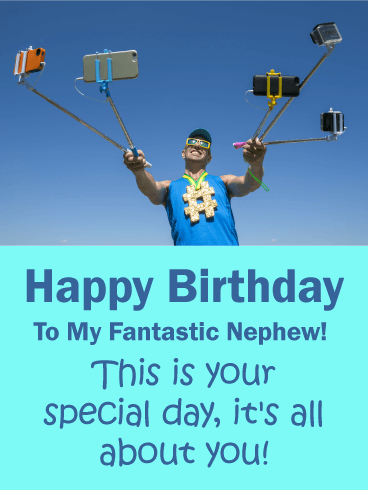 Send this outdoor birthday greeting card to your nature-loving nephew today. 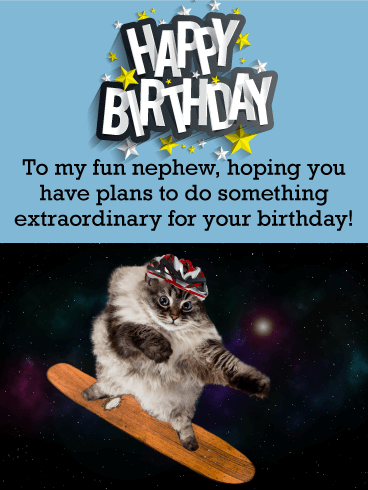 It's a quick and thoughtful way to wish your nephew and happy birthday. 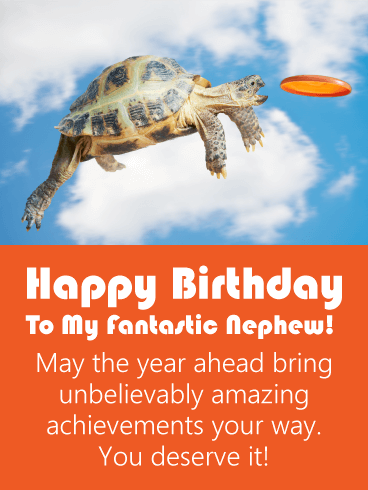 For a nephew who likes fishing, this adventurous birthday card is the perfect way to celebrate his special day. 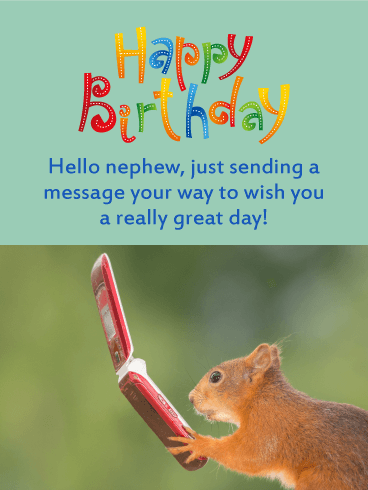 Start your nephew's birthday out on a high note by sending him a card that will make him feel like he's on top of the world! 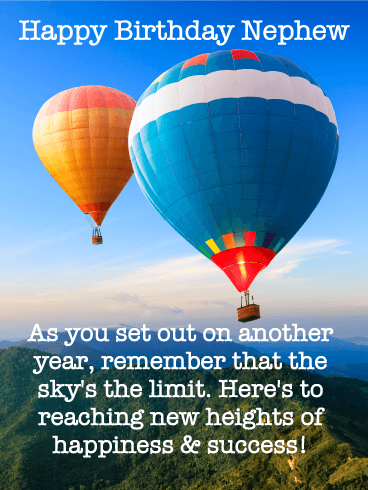 Two colorful hot air balloons float through the deep blue sky, green hills down below. 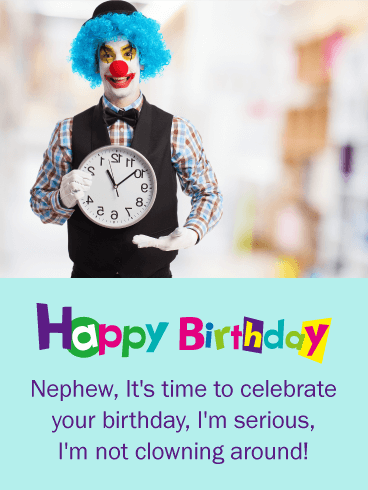 It's a wonderful way to wish him another year of happiness and success while reminding him that the sky's the limit when it comes to birthday fun! 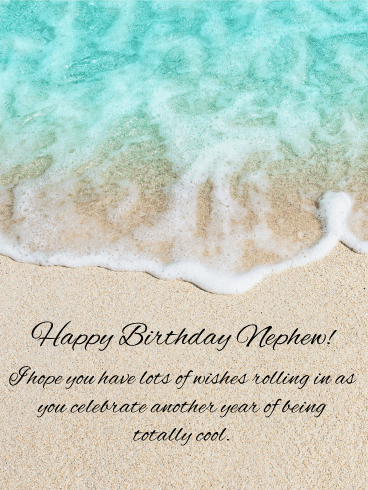 Sun, sand and a special birthday are all in store for your nephew this year when you send this coastal-themed birthday card! 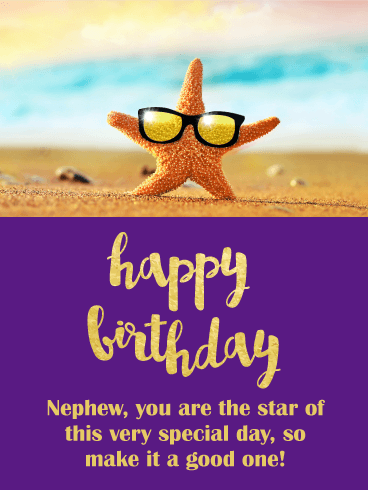 The clear blue water of the ocean comes rolling in, bringing with it your best wishes as he celebrates another year of being the cool and amazing person he is. Take time to remember the small things that bring you the most joy. 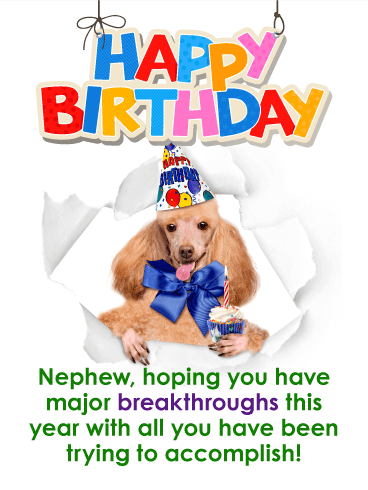 That is the message on this birthday greeting card for a dear nephew. 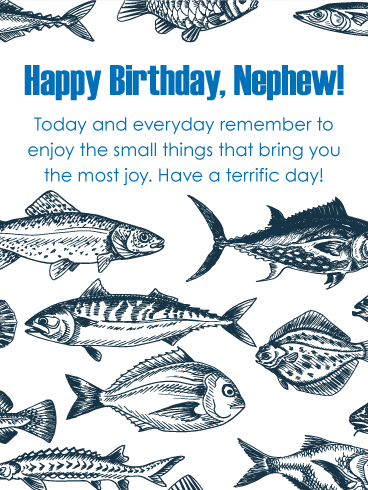 A simple birthday card with artistic pen and ink fish is a thoughtful way to send birthday wishes to your nephew this year. 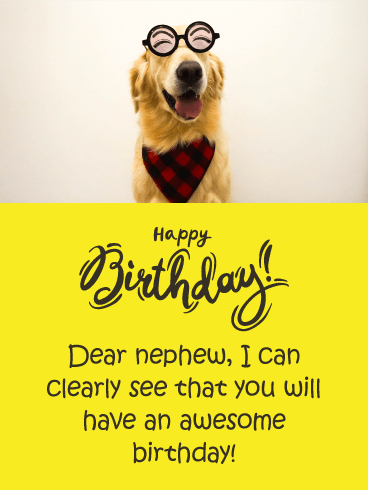 Whether his favorite thing is fishing or simply the great outdoors, this sportsman birthday greeting card is quite a catch for your awesome nephew.